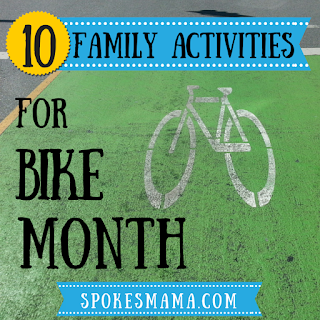 June is Bike Month around here & that means that thousands of Vancouverites will be hopping on their bikes & riding to the farmers market, to work, to the park, & heading out together on group rides all over the place. 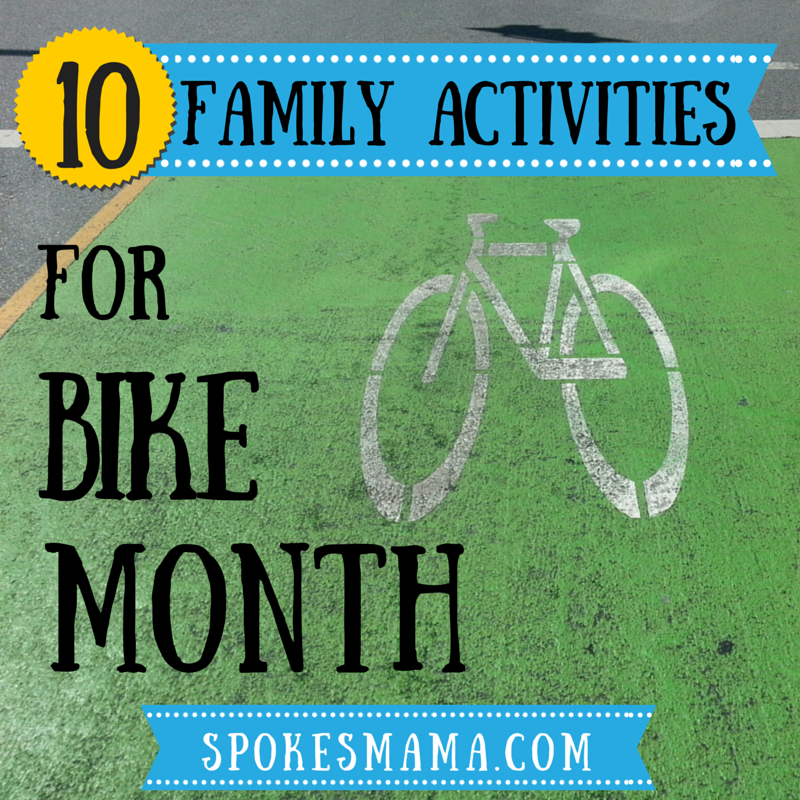 In case you're stumped for ideas, I thought I'd share with you my favourite family biking friendly places & events. Do some shopping, or just hang out at one of Vancouver's great weekly Farmers Markets. 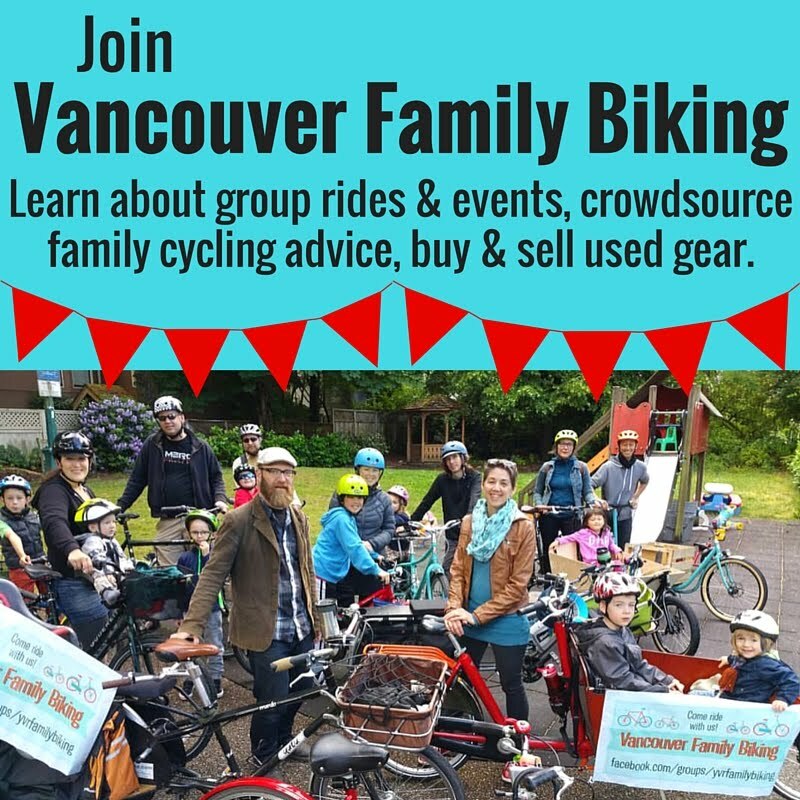 Join Vancouver Family Biking on our June 13 Heron Ride & Picnic to go see all the heron chicks in their nests in Stanley Park. June 21 ride over to Car Free Day on Commercial Drive, Main Street, or the West End. Go multimodal: take your bikes on the bus or skytrain or seabus to another city & be a tourist for the day. Try taking the Canada Line to Lansdowne Station, which is a five-minute ride from the West Dyke Trail that goes past Terra Nova Park & leads to Steveston. Ride the seawall & Point Grey Bike Route to Spanish Banks Beach for a picnic. Bike the Trans Canada Trail along the very North end of Burnaby to Confederation Park to ride the miniature railway & play in the water park. Ride to one of Vancouver's awesome outdoor pools: Kits Pool, New Brighton, or Second Beach are all easily accessible by bike. You'll really appreciate the cool water if you're riding there on a hot day! Bike to a new park. Plateau Park, between the Playland rollercoaster & Empire Field, is a brand spanking new park with features I haven't seen anywhere else like outdoor fitness equipment, a parkour area, a mini terrain park for little kids, a huge net climbing structure, & some of the fastest slides in the city. Ride around Stanley Park early in the morning. The seawall is so beautiful, but it's also so popular with tourists & locals alike. If you ride around before 9am, you'll beat a lot of the traffic. Pack up snacks & a blanket & bike to one of Fresh Air Cinema's movie nights in a park. They usually have valet bike parking at the Stanley Park movies. Don't forget to bring your lights--you'll definitely be riding home after dark! Recently I programmed the first round of team building exercises at work. I took the process very seriously and spent a lot of time in preparing so that I can be fit as a facilitator. I'm very optimistic about the effects these activities will have on my sales force.